If you are a food lover and willing to try completely new and exotic meals, Hong Kong is the perfect place for you. Besides the traditional Cantonese and Chinese cuisine, due to Hong Kong’s rich history as an international city of commerce, you can also experience the tastes of the Western world, Southeast Asia, and Japan. It is not by accident that this city has a reputation of “Gourmet Paradise”. As a tourist, you will probably spend most of the time eating and discovering new tastes since it is impossible to resist them. Having a decent meal does not necessary mean that you have to sit in expensive restaurants, since the roadside stalls are also quite popular and tempting, with a wide variety of choices. 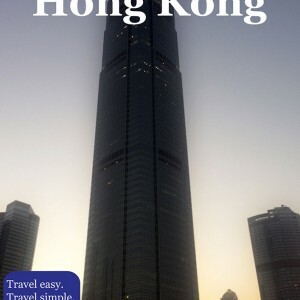 Hong Kong can also be marked as a city dominated by food, because it is impossible to visit even the smallest part of the city, without noticing plenty of places where you can eat. However, there are certain neighborhoods that can be labeled as perfect places for finding a great restaurant – Hong Kong Island and Kowloon. Hong Kong Island is generally the place with the most expensive restaurants, and you go there if you want to have a glamorous experience, eating food prepared by some of the most famous chefs. Lan Kwai Fong, Wan Chai, and Central offer numerous Western restaurants, but also Indian, Thai and Vietnamese, being maybe the most popular among all. SoHo is also a district which is fully dedicated to food, with mostly Western and Asian restaurants. Hotels such as Mandarin Oriental and Four Seasons provide great high-end restaurants, with French and Cantonese cuisine. On the opposite of Hong Kong Island, Kowloon offers a variety of cheaper places for eating, and street Chinese food around Ladies’ market and Mong Kong is particularly popular. Large immigrant communities are typical for this area, so it is not rare to see the restaurants owned by them. Indian cuisine, both at its best and worst editions can be found at Chungking Mansions, and Kowloon City is full of authentic Thai and Vietnamese restaurants. Mong Kok and Yau Ma Tei are areas with restaurants which may not be good looking, but they offer very delicious and cheap food. Address: Shop 72, G/F, Olympian City 2, 18 Hoi Ting Road, Mong Kok, Kowloon – Check website for more locations.